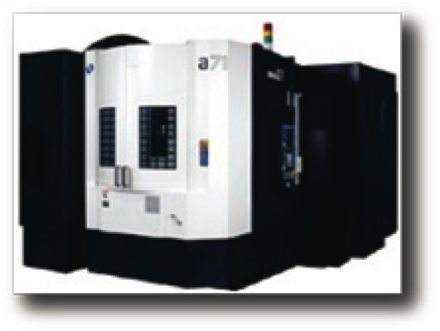 Preferred Tool and Die can do high-volume machining of parts on our Makino A71 CNC Machine. The spindle integration with the drive motor’s rotor reduces vibration during high-speed operation and increases acceleration/deceleration. Rapid spindle acceleration to top speed in just 2.4 seconds helps reduce non-cut time substantially. Center trough quickly removes large chip volumes for enhanced reliability in continuous machining. Preferred capabilities with this machine deliver quality parts to you in short order impacting your bottom line. Maximum Workpiece: 31.5" x 39.4"